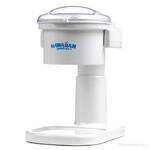 The Little Snowie 2 Shaved Ice Machine is a great mid-range ice shaver. A step above the S900A, the small, compact shaver houses a robust motor and is perfect for serving 15-30 servings at any small-scale house party. Buy the Little Snowie 2, add ice cubes from your freezer and shave away! It�s cute enough for the countertop or small enough to store in a cabinet. Clean up and maintenance is a breeze - enjoy your little piece of Hawaii today! Hawaiian Shaved Ice also offers a variety of premium flavored syrups. 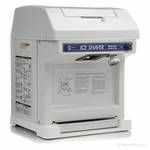 For commercial machines, please visit www.1-800-Shaved-Ice.com. 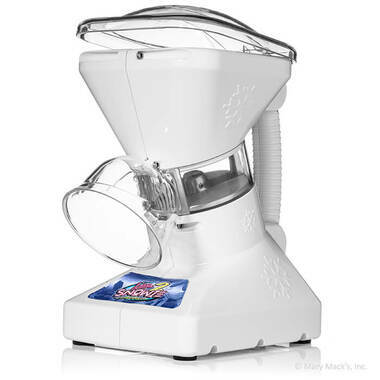 This looks like a great shaved ice machine, can I use it to start my business? Whoa Nelly. Don�t get ahead of yourself. 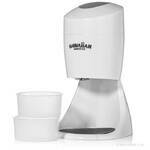 We recommend this shaved ice machine for home use only. It is great for serving shaved ice at small birthday parties or family get-togethers but not made to handle a commercial shaved ice business. If you�re interested in starting a business, visit our sister site at www.1-800-Shaved-Ice.com. Alright, that makes sense. How many people can I serve with the Little Snowie? This machine does great producing 15-30 servings per day. This would be fantastic for your outdoor picnics and parties. Shucks, I planned on buying the Little Snowie for my upcoming party and I just invited 31 people. Don�t be silly. You can definitely shave enough for 31 people. Because this machine is not designed for commercial use, you need to be cautious how hard you run it. Think about it like a coffee maker. You can�t buy a typical home coffee maker and expect to open up a coffee shop. So how many people can I serve before changing my blade? Do you even sell spare blades? We suggest you change your blade every 1000 servings. Yes, we do offer spare blades for this machine. This machine also comes with a handy-dandy illustrated guide on changing your blade! My children would love to make their own shaved ice serving with the Little Snowie, is it safe for them to use? The Little Snowie machine is definitely safe! We recommend adult supervision with all of our machines; although this machine has several safety features. The machine only works when the lid if fully pressed down & the ice dispenser has a guard like feature to prevent fingers to touch the blade. This shaved ice machine has it all, doesn�t it? Well, almost. We do recommend purchasing the Little Snowie Drip Pan. This helps catch overspray and melted ice. And it always nice to have an spare Little Snowie Blade. What kind of ice do I use with the Little Snowie? Household ice cubes from your freezer work great but bag ice will work just as well. Ice cubes 1 inch or larger work best. The ice does not necessarily have to be in an exact cube shape but most hard solid ice will work. 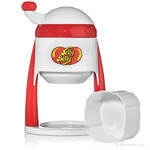 You just do not want to use crushed ice or pellet ice for the Little Snowie Ice Shaver. We recommend thawing your ice for about 5 minutes before shaving. The big-shots call this �temping�. What if my machine has a defect? Does it come with a warranty? Our Little Snowie Shaved ice machines machines are carefully inspected before they enter your home. We apologize if you receive one with a defect, but your machine does come with a 1-year warranty. Our goal is to have 100% customer satisfaction. Remember this machine is for home use only. Your warranty will be void if you use it for commercial use. Can I use any cups to catch the snow? Sure! However, we don�t recommend our shaved ice Flower Cups. They�re a little too big for this machine and you can�t produce that nice snow ball on the top! Almost every standard 12 to 20 ounce cup will do. How fluffy is the ice produced by the Little Snowie? 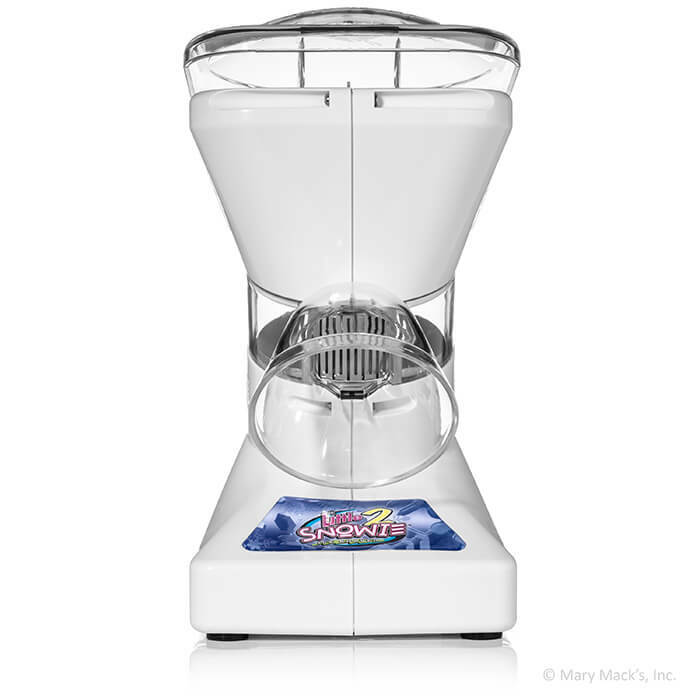 Is this a shaved ice machine or a snow cone machine? First of all, the Little Snowie is a shaved ice machine, not a snow cone machine. No chunks of ice come from this machine, only fine fluffy snow. On our Fluffiness Scale from 1 to 10 with 10 being the fluffiest ice, the Little Snowie produces shaved ice that would fall in the 7-8 range. While block machines produce the fluffiest shaved ice of all the machines, the Little Snowie does a good job at getting close to the quality of our block machines.